After spending time and money designing your perfect backyard, you want to protect it as well as possible. Things like rainwater and melting snow can leave standing water, which has the potential to damage not only your backyard landscaping but also your home if it gets too close to the foundation and structure. For that reason, it is essential to have a good backyard drainage design. There are many different options when it comes to backyard drainage systems, and the one you choose is dependent on your specific needs and preferences. Here are some of the popular backyard drainage options and their best uses to help find the right drainage system for you. 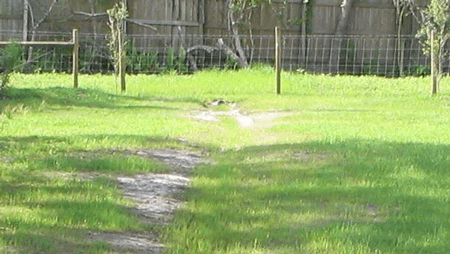 One type of drainage system you can go within your backyard is a swale drain. Swale drains are a type of surface drainage system that is more subtle than other backyard drainage options. Swale drains are often compared to ditches, with their broad and shallow openings. However, unlike a ditch, you cover a swale drain with either turf-grass or another form of vegetation to help it to blend with the rest of the landscaping. The purpose of swale drains is to help control the flow of water runoff to prevent any flooding or puddling. Swale drains are also useful in helping to avoid soil erosion and the overwhelming of the storm drain system around your property. With swale drains, water runoff percolates slowly into the soil through the gravel inside the swale drain. This keeps the runoff from overwhelming and weakening the soil, which can lead to serious structural issues. There is also the popular option of French drains, which has become the basis of all modern drainage systems. 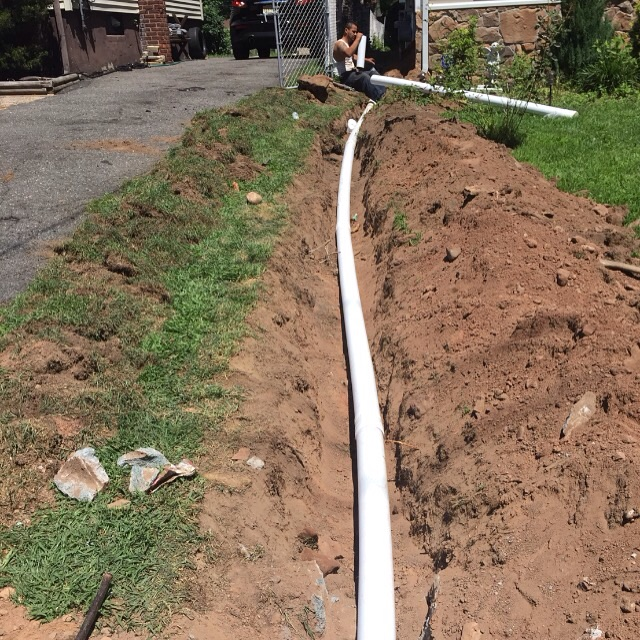 French drains are a sub-surface drainage system that is similar to a trench drain. The trench is usually about four feet deep and lined with gravel, with a perforated pipe set underneath it, where water can collect. This is a drainage system that is meant to help divert water runoff away from any nearby structures and home foundation. From the drain, water then flows towards a connected outlet farther from the main property. This outlet may be anything from a storm sewer to a swale. Trench drains are another kind of drainage system that is common in many areas, including as part of a backyard drainage design. Like the drainage systems mentioned previously, trench drains are comprised of a simple trench. However, these trenches also have a grate that covers them, stopping foreign objects from falling into the drain channel. Unlike the other drainage systems, trench drains are found on paved surfaces, with the purpose of redirecting water runoff away from these areas so that it cannot cause damage. This is a type of drainage system best for patios, pools, and similar areas and comes in various sizes, from very wide to a thinner profile, making them easy to blend with any backyard design. A newer form of trench drain that is great for backyard drainage design is the Slot Drain System. The Slot Drain system is comprised of a durable drainage channel within a trench and it is slim enough that it does not require a grate covering to keep foreign objects out. The slimmer profile does not make the Slot Drain any less effective in draining water runoff away from structures and foundations. 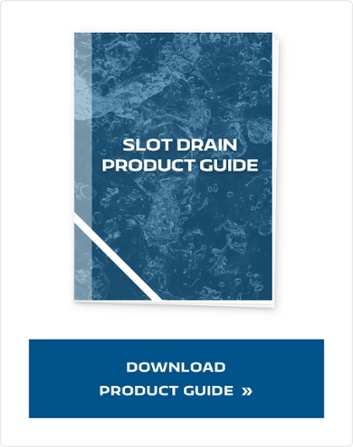 In fact, Slot Drain Systems are more effective than other drainage options to the strength and durability of the materials that make up each of the components. With options like stainless steel, you can rest assured that this is one system that will not rust or get moldy with the constant exposure to the elements. 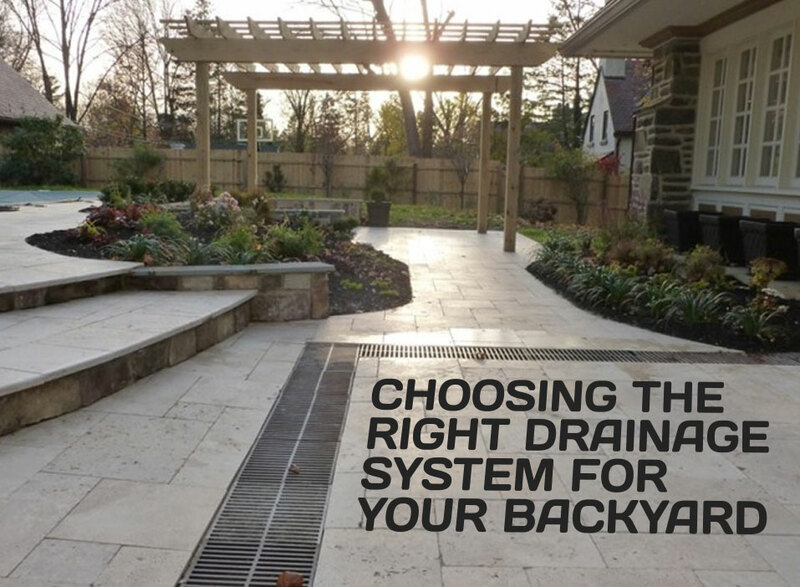 Which Drainage System is Right for You? 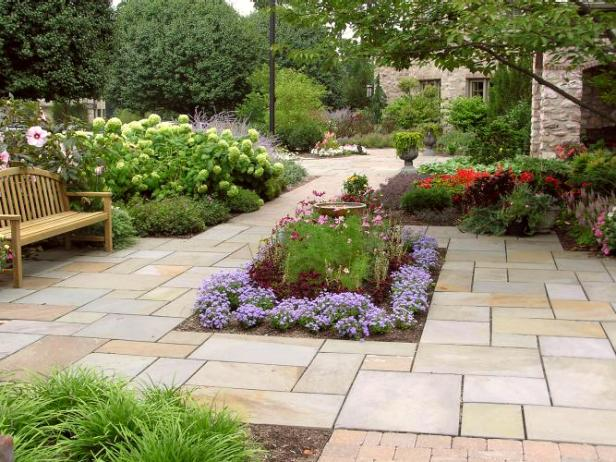 The best drainage system for you will depend on your backyard landscaping needs and desires. 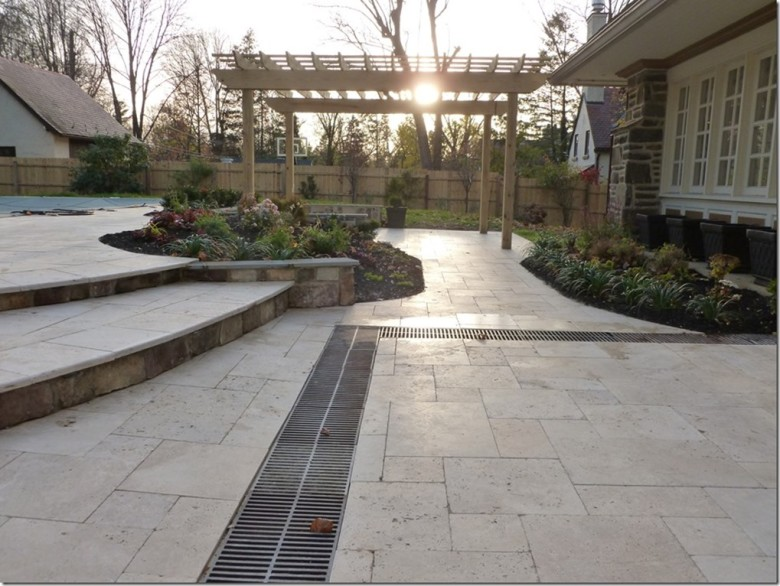 However, when it comes to the area around your home and patio, there are only two options to consider: traditional trench drains and the Slot Drain System. But, if you want a reliable, low-maintenance drainage system that will last for years to come, there is no other option than the Slot Drain System. Not only will it leave your landscape and home well protected, but it will blend beautifully with your backyard design. Having a drainage system as part of your backyard landscape is essential; it will not only help protect your backyard from the harmful effects of large amounts of water, but it will also protect your home and foundation as well. Backyard drainage design is essential and not something to ever overlook; so make the right choice the first time and go with a system like the Slot Drain. It will serve all your needs without creating too much more yard maintenance, and keep your backyard looking great for the years to come.